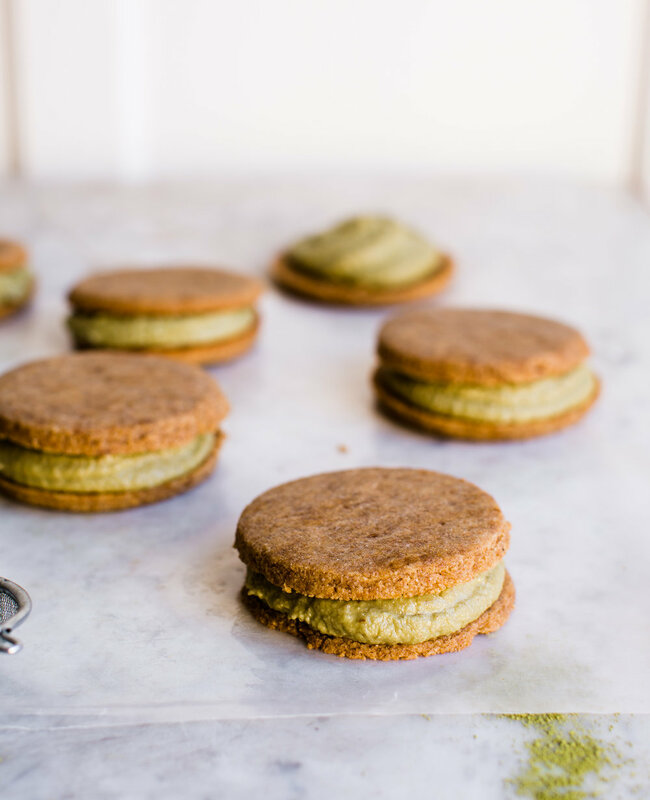 Matcha-Cream Shortbread Cookies is the perfect holiday dessert for the healthy home cook. Gluten-free, vegan and made with delicious ingredients that will suit the dietary needs of every guest this holiday season. Last week I presented you with the chocolate + matcha fanatics dream combo, Matcha-Cashew Chocolate Cups. And, now today, here is something for the cookie lovers out there, Matcha-Cream Shortbread Cookies! You know it’s the holidays when there are back-to-back sweet recipes in this space. And I’m not sure anyone is complaining about that! If you’re still thinking about what to make for a fun holiday party bite, well maybe consider these. With a creamy center, that is festively tinted with matcha powder for the holidays (I love and use Aiya Matcha for all my culinary baking), and sandwiched between classic shortbread cookies, this is a sweet treat that is meant for the Christmas season. And if you still can't settle between the two recipe – chocolate cups or cookies - well, maybe this time make both…tis the season, am-I-right?! In the meantime preheat your oven to 325F and make the matcha cream. Add all the ingredients into a food processor and blend until creamy. Set aside until the cookies are ready to be rolled. Dust your work surface with any flour as to not let the dough stick. Now pour the dough out onto your work surface and roll out the dough, and cut into 2" circles. 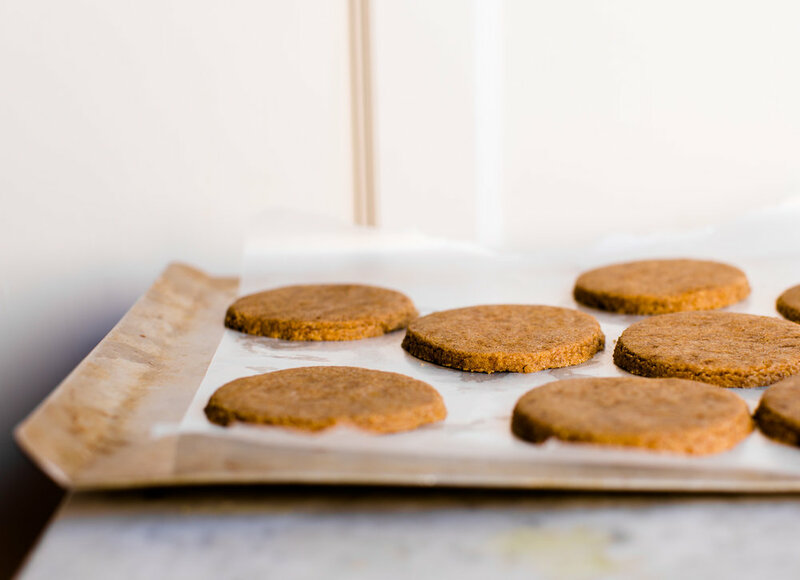 Place them on a parchment paper lined baking sheet. Re-roll the excess dough pieces and cut out into remaining circles.